Holiday Greetings, Candle Friends! What a wonderful time to begin to do candle and melt reviews. Who can resist melting or burning this time of year, whether it’s to create lovely ambiance on a gray, cloudy day… or to make your home smell festive, like you’ve been hard at work in the kitchen all day! Perhaps you burn or melt because the seasonal accessories for this time of year are just too darn cute to pass up! No matter if it is scenting or snazzy gift giving… I hope my reviews can help you spend your candle dollars to accomplish your candle goals! My first time out of the chute brings you a revisit on candles you most likely you’ve had exposure to. For Every Body is a brand that is easily accessible – found both in national chain stores such as Kohls, and also on their website. These candles are inexpensive and clever in design, many people try them as one of their first candles. This brand is enticing, and I tend to buy more than I should, but I can’t resist the colorful labels and embeds dressing up the tops. That has been my main reason for purchase, because the scents have never been killer-strong, in my experience. Always optimistic, I thought it would be interesting to see if there is a difference in scenting and burning performance, based on the different size containers. Perhaps one design will have it all – an attractive, well priced candle that has a good throw! The web site offers a very large selection of these soy candles – be sure and look for the current specials on the left side – I scored a 18 oz candle for $5! The site is a collage of their different themed products and the photos make me want to shop. And shop… and shop. Starting things out, it was best to tackle the biggest one, the Bermuda Coast scented candle. What did my Bermuda Coast candle look like? glass jar that is wider at the top, tapering down to the base, a “vase”. The label is a photo of a starfish and a seashell, with a stenciled leaf design off to the side that gives it a World Market feeling. The soft soy wax was a gorgeous light blue… the color of a tropical sky, in some exotic vacation place…like Bermuda! Unlike most of their varieties, this line (Vanilla Destinations) does not have decorations sitting on top of the candle wax. How my Bermuda Coast candle smell? The cold sniff is a floral/ocean scent. In my experience, throw has been mild on most of the For Every Body candles I have burned, so I started this candle in a smaller room, the master bath. Opening the door, I did get a mildly floral, “clean” whiff – certainly not strong, but more than I had expected. The scent wisps were a soft freesia with a hint of a true tropical scent – suntan lotion. It reminded me of sunning on the beach. 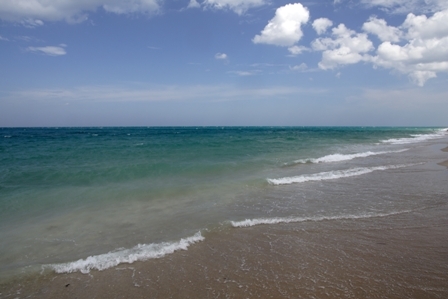 You know how it is, while relaxing beachside with eyes closed, you know someone has just walked by… just a mild whiff of a suntan lotion – floral cologne mix drifting your way from time to time. How did this candle burn? I was unsure of the slanted shape – was one wick going to do it for the wide top? It was burning quite nicely but it started to struggle a little bit at the widest section of the jar. Situation solved with a candle shade! It took a little time, but I had almost a full melt pool across the top, and once I made it past the widest point, off came the shade. In the widest part of the jar it left a little wax hugging the corner, but minimal fussing with the wick melted it away. Soot occurred only when I left it burning much longer than I should have and the wick took on a life of it’s own! Trimming immediately solved the problem. (Note: Thankfully we have smelled this type of scent before – because exactly what does the “surprise” part of a birthday smell like??) Of course, I will be expecting “the usual” – a rich, sugary confectionary scent. What did my “Birthday Surprise” candle look like? How did my “Birthday Surprise” candle smell? 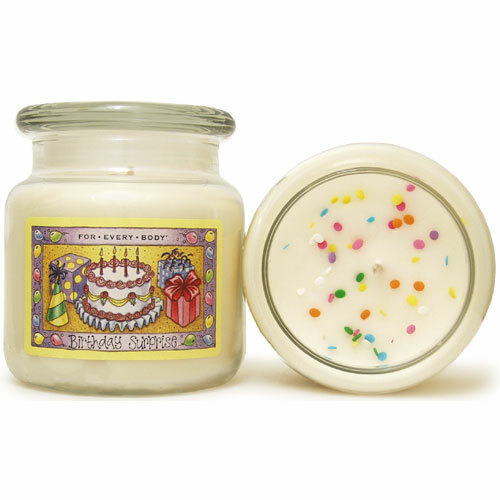 “birthday” styled candles smell like the best part of a birthday celebration – the cake! The colorful confetti sprinkled on top adds to the fun, and these cute decorations on the candle tops make it hard to light up that ol’ wick! 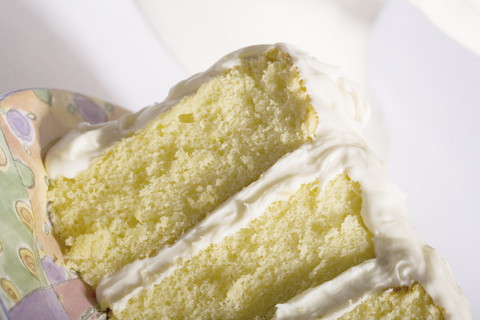 Once lit, I smelled more white cake than icing. I had to move the little tin to the smallest room I had, and I could smell it – just barely. The throw from this little tin was noticeable, but not strong enough to be the only reason to buy this adorable little candle. How did my “Birthday Surprise” candle burn? This tin burned well after I centered the wick – it was a little off kilter when I opened the lid, but not too much. (When will I learn to open things and look? You have no idea how many broken eggs I bring home!) It left a very thin ring of wax all the way around the edge as it burned, but this became a tart on the candle warmer when it had burned down as far as it would go. What does my Cinnavanilla candle look like? not a blended spice they feel “scratchy” to my nose. (Am I alone here?) The cold sniff on this one is delightful. 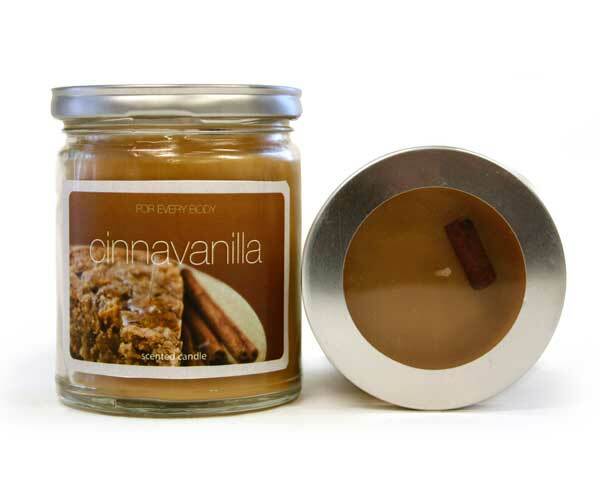 The cinnamon is softened by the vanilla and it gives it a richer scent, more like a gooey cinnamon coffee cake. In fact, the silver and brown label with the photo of the coffee cake (or is it a scone?) suits the scent nicely. 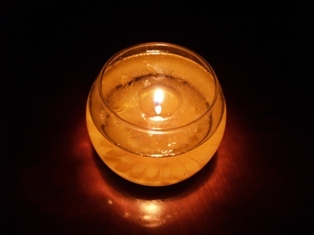 The soy wax is a creamed honey color – and this candle lid is the unique metal ring that is transparent in the center. This allows you to view the cinnamon stick artfully arranged on the top! How did my Cinnavanilla candle burn? I had to push the wick over a wee bit to be sure it started off centered. I think it was just giving the big cinnamon stick on top a little extra room! As it burned the decision was made to lose the stick as the melt pool was burning right up to it and forming a “D” shape. Taking the decoration off allowed that wax hiding behind to get exposed to the flame and melt. It still seemed to struggle and I was tempted to start pushing wax around. However, duty called and I had to abandon my project for awhile. After about an hour I looked at the candle – and voila! It had burned nicely and liquefied the entire top… with no help from me. The wick was mushrooming a bit, so I clipped it, relit, and all was well. Once again I started in the smaller room to maximize its potential. Didn’t get much scent here. I moved it to the half bath – very little scent when I opened the door in here, either. I have to say I did not expect the throw to be this small as the cold sniff was stronger than usual. No description found – but do we need one? What does my Macintosh candle look like? This is an example of why I should not go to the web site in a moment of weakness. Heck, forget weakness! I should not go at all, because these adorable labels have me hitting the”submit” button in a wild frenzy! 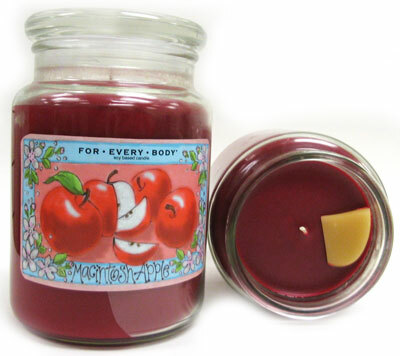 This candle is red soy wax, with a yellow apple slice peeking out of the top near the wick. The label is a folksy illustrated label: whole red apples and slices bordered in blue, the border is sprinkled with white blossoms. Soooo cute! What did my Macintosh candle smell like? Cold sniff – the real deal! It smells like the red apples on the label. 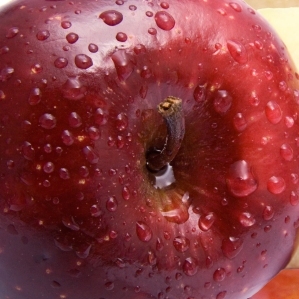 No tartness, only the cider-sweet smell of a fresh apple. In fact, you could smell it sitting open about a foot away! How about the throw, once lit? Ladies and gents, we have a winner! I lit the candle, (room 9 feet by 12 feet) left the room, and when I returned I had other things on my mind. Suddenly the scent of apple caught my attention! It certainly was not a nose-burning, eye watering throw – but it was consistently scenting the air giving the room an autumnal feel – reminding me that I needed to go get the rest of the fall decorations out of their storage places! How did my Macintosh candle burn? Once again, patience was a virtue! It started out making the “D” melt pool around the apple slice until I got it together and made the apple slice embed “sink” in the wax pool. However, after about 1 hour I had a serious beginning of a tunnel. It took restraint, but I left it alone! As happened before, just leaving it alone helped. It melted almost all the way across, leaving a ring of wax hugging the outside. I tried a candle shade, and it helped a little, but this candle never did liquefy completely across the top. 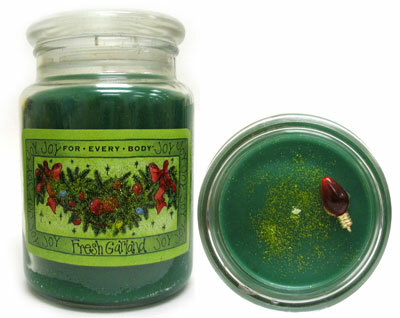 For Every Body Candles are easy to find, (too) easy to buy and easy to burn. They are fun! Overall burning was clean, but sometimes they required a little fussing to get a good wax pool. There was no clear winner of all categories, so buy based on your addictive needs! Would I buy again? Absolutely – but not to give to “hard-core” scent addicts. These candles are nice for a mild background scent when you need just a little something for ambiance. I also anticipate purchasing these candles as gifts, the fun little tins are priced right and would make wonderful party favors. Especially now, as these candles have the glitter and ornaments of the Holiday season which makes them even more enticing! Years ago i bought a few candles made by for everybody. The one main candle i purchased was one called hollyberrys. A few yrs ago i called and asked about this remarkable smelling candle. I take it they stopped making it. Unless i can have it made . I will be happy to pay for that. Looking for Bamboo scent from for every body. Any help? For Every Body is very hard to find in all scents so I wouldn’t know where to direct you. Sorry. I’m looking for apple pie from the holiday memories collection. I can’t seem to find it online. For Every Body candles are hard to find these days and I believe they’ve closed. I do see their candles occasionally in craft stores but it’s never consistent. Sorry. I’m trying to find (For Every Body soy based), “Yummy Cake”. If you still have it, how much is it, & in what size? My last glass jar was 18 oz. For Every Body is hard to find. The last place I purchased several was last year and at Joann’s Craft Store. I don’t know if they still have any but you can check. Thank you. I just realized my inquiry was posted 2 years ago! I’m STILL trying to locate one called “Yummy Cake”, the best smelling candle I’ve ever had! It has to be sold somewhere. Thank you. For Every Body is no longer in business. I’m sad too because they did have some yummy scents. What did Yummy cake smell like? I’m looking for a scent you carried….. Pablano Pepper “Family”. Where can I find this one. My favorite. I’m looking for cinnavanilla for everybody candles but can’t find them again and can’t remember where I got them. I live near Evansville Indiana. I can’t find them online either. Can anyone help? PLEASE TELL ME WHERE I CAN FIND THIS WONDERFUL CANDLE: Reflections Snow Flake soy based candle. I received it as a gift several years ago and it is my favorite Christmas candle. Thank you! I’m so sorry you can’t find this candle anymore. Since they no longer have an online presence, I think they may have closed their doors. I have found a nice selection recently at various stores like Joann’s but that’s about it. Do you know if these candles still available? I’ve looked for them everywhere and have had no luck. Hi Amy…. I do see these candles around various stores like Joann’s but other than that, I don’t see them anymore. My guess is, they went out of business or are just selling to certain commercial stores. 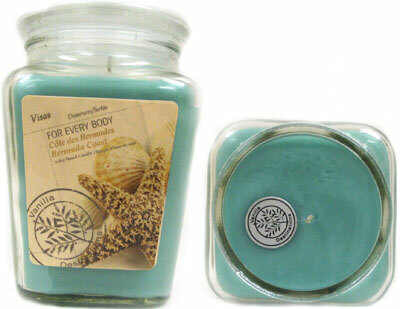 Am looking to purchase the older Cinnamon Spice” from For Every Body – best candle i ever had for Autum! Saved empty jar so i could buy more but cant find it. I am not looking for cinnamon apple or cinnamon vanillia….just their cinnamon spice. Where do i find this – their website was closed for updating. Thanks. Are they still in business ? I use to be a rep for them now I can’t find anywhere to even look at a catalog on the Internet . I’m not sure but I just purchased a few of their candles at Joann’s Craft Store. It was a new display.